Boy, do we have a treat for you. We have worked out a special cruise with AmaWaterways, along with a creative land itinerary that will bring you the best of the best Christmas Markets in Europe. All the towns and villages throughout Europe create stunning light displays along with wonderful Christmas Markets in the old town squares. The tradition of Christmas Markets in the town squares has been going on in Europe for hundreds of years. There are literally thousands upon thousands of Christmas Markets all over Europe. The idea of traditional Christmas Markets has even spread to other areas of the world. We have had many requests, over the years, to put together a Christmas Markets tour in Europe. We have done better than that, we have put together a fantastic Christmas Markets Cruise/Tour. Experiencing the BEST Christmas Markets in the world is a great excuse for taking this special tour and cruise – but, it does not mean that all we are going to do is visit Christmas Markets. This special tour has so much more to offer: A 5-star Luxury Cruise on the Danube, sailing the most popular sections of the Danube, UNESCO World Heritage sites, medieval walled cities, fantastic castles, opulent palaces, cobblestone streets, villages that are hundreds of years old and staggeringly beautiful Christmas lights. The Christmas Markets are the icing on the cake and the wonderful tours, you will enjoy each day, is the cake. The combination is out of this world. This will be the perfect Christmas dessert to serve yourself and others in 2019. This is the first time we have offered a Christmas Markets Cruise/Tour. We will be flying to Prague, Czech Republic the day after Thanksgiving. Our whole tour is only 12 days long. There are so many parties and things going on in December, that we really don’t want to take our passengers away from home for too long. You depart November 29th and return home December 10th. You can buy all your Christmas gifts from the Christmas Markets. Your family and friends will treasure their Christmas gifts when they find out you went all the way to Europe to do your Christmas shopping. We looked at 3 lists that rated the top 10 Christmas Markets in the world: CNN’s list, Condé Nast’s list, and Lux Adventure Travel’s list. Out of literally thousands of Christmas Markets, only the very best can make it onto a top 10 list. Three of the places you will visit made it on these top 10 lists as a #1 and a 4th market made it on all three lists in the top 5. We really are visiting the very BEST! Strasbourg France: On CNN’s list, Strasbourg France, was voted the #1 Christmas Markets in the world. Strasbourg is considered by many to be the home of the first ever Christmas Markets held in the 1400s, they have continually held Christmas Markets since 1570. Strasbourg is possibly one of the most picturesque cities in France. The old section of Strasbourg is a UNESCO World Heritage Site. Prague: On Condé Nast’s top 10 list, Prague was voted the #1 city for Christmas Markets in the world. The old town is also a UNESCO World Heritage Site. Between the old town and the castle, this will be one of your favorite cities in the world. Rothenburg ob der Tauber: It is Germany’s best-preserved ancient walled city dating from the 12th century. When we were last there our guide pointed out his home. His family had continually occupied the home since the 1300s. It didn’t make it into the top 10 but did make it into some top 20 lists. Not bad when you consider the number of Christmas Markets. Nuremberg, Germany. Voted #1 Christmas Markets in the world by Lux Adventure Travel. Considered the world’s largest and most famous Christmas Markets in the world. We board our 5-star luxury river cruise ship in Nuremberg. Nuremberg will impress you and be a town you will remember. Regensburg, Germany: One of Germany’s best preserved medieval cities, as well as being a UNESCO World Heritage Site. Enjoy one of Bavaria’s most beautiful and romantic Christmas Markets at Thurn and Taxis Palace. Picturesque Passau: A fairy-tale city-founded more than 2,000 years ago. At Christmas time the city dresses in her Bavarian holiday splendor. Linz, Austria: Linz is known for being the city of Christmas Crèches (Nativities). Linz’s old town is also a UNESCO World Heritage Site. Melk – Durnstein – Krems: We will visit the magnificent Benedictine Abby (a UNESCO World Heritage Site) and sail through the most picturesque section of the Danube – the breathtaking Wachau Valley. Vienna, Austria: On all three lists Vienna was rated #2, #3 or #4. It really is one of the best Christmas Market towns. Vienna is the home of music and palaces. This will be a highlight day. We have combined a fantastic Exotic Danube River Cruise with a wonderful Christmas Markets Tour. There is not room enough to express how fantastic this tour will be. 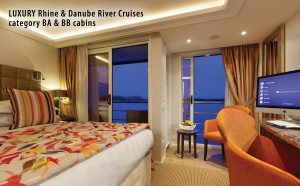 You will be sailing in luxury on an AmaWaterways’ ship. It just doesn’t get any better than this. 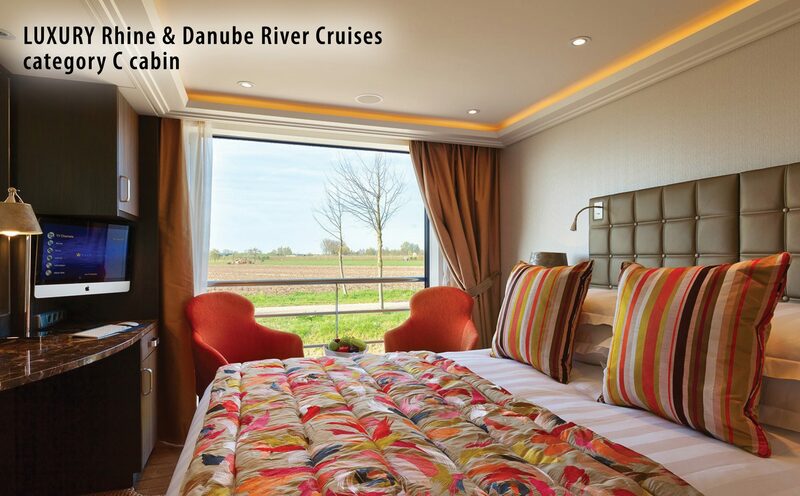 You’re going to absolutely love the most popular section of the Danube River. the highlight will be the Christmas Markets in all the town squares all over Europe. This cruise was not easy to get. There are only a few prime weeks of Christmas Markets cruising. We had to work hard to land one of them. It is a miracle they are allowing our company to discount the cruise which saves our passengers $500 to $800 per person. By booking 60% to full charters, we were able to save our passengers up to $800 PER PERSON! On some sailings, AmaWaterways offers $250 per person discount, but NO ONE EVER offers a $500 to $800 per person discount. You are also getting the bonus, at no additional cost, a fantastic guest educator while on the cruise and tour managers that will stay with you from start to finish. 2019 Ship Price: $3,398 MINUS our $500 savings – you pay $2,898 pp. 2019 Ship Price: $3,998 MINUS our $600 savings – you pay $3,398 pp. 2019 Ship Price: $4,598 MINUS our $800 savings – you pay 3,798 pp. 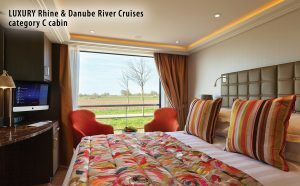 Our package price is a combination of two packages: The BEST part of the Danube River Cruise (with savings up to $800 per person) AND our special Christmas Markets Land Tour and Hotel Package. 8 days 7-night sailing on a 5-star luxury river boat from Nuremberg, Germany to Vienna, Austria. 160 square foot Category D cabin with two large porthole windows. Shore Excursions throughout the cruise. Bottled water, fluffy bathrobes, and slippers to use in each cabin. Option to upgrade cabin to a 170 square foot French Balcony Cabin for $500 more. Option to upgrade to 210 square foot Double Balcony Cabin for $900 more. Deluxe hotel in Strasbourg, France. All transfers, if you arranged your flight times on or before our Fun For Less group flights. Tours in Strasbourg, Rothenburg ob der Tauber and Prague. All guides, buses and entrance fees related to your Christmas Markets land tours. 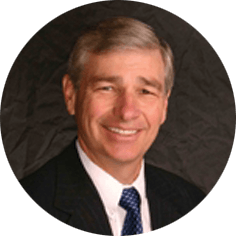 Guest Educator: Dr. S. Michael Wilcox. Upon arrival, we will spend the afternoon exploring our second favorite city in Europe. – Prague. We will take a cruise on the Moldau River and Enjoy the Christmas Markets in the late afternoon and into the early evening after dark. This morning we finish touring Prague. We will explore the castle area and explore the old town. 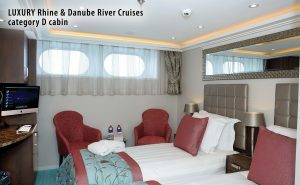 2:30 this afternoon we will depart for Vienna and our Danube River Cruise Ship. We expect to arrive at our ship around 6 pm, in plenty of time to enjoy or 7 pm dinner on board your ship. The “City of Waltzes” offers a treasure trove of gems just waiting to be discovered. Join a tour showcasing its regal splendors, such as the majestic Opera House and the former Imperial Palace of the Habsburgs before concluding in Vienna’s historic city center. Afterward, you’ll visit the Rathaus (Town Hall) Christmas Market. During the afternoon, visit the Karlsplatz (Artisans) Christmas Market, a local favorite, and the market at Schönbrunn Palace with a giant sparkling Christmas tree. Today we will sail through the breathtaking Wachau Valley and visit the magnificent Benedictine Abbey, a UNESCO World Heritage Site. On your tour, you will see jewel-encrusted crosses containing religious relics, frescoes and richly embroidered vestments, as well as the abbey’s priceless collection of medieval manuscripts in its famous library. Linz is known for being the city of Christmas crèches and its ever-popular Linzer Torte. Today will be a full-day visit to magnificent Salzburg dressed in her holiday best. Enjoy a walking tour of UNESCO-designated Old Town, its magnificent cathedral, inspired by St. Peter’s Cathedral at the Vatican and its Christmas Market, which is a feast for the senses. Picturesque Passau, a fairytale city founded more than 2,000 years ago is noted for its Gothic and Italian Baroque architecture. During the season of Advent, the city dresses in her Bavarian holiday splendor, which you will discover on your walking tour through the city and at its Christmas Market at St. Stephen’s Square— also home to its magnificent cathedral. Go in search of unique crafts, including Bavarian-style houses and glass ornaments. This morning we will cruise through the man-made marvel, the Main-Danube Canal. Today we will do a tour of the WWII highlights and then walk through Nuremberg’s cobblestone streets to the Imperial Castle and 900-year-old city ramparts. We will also visit Nuremberg’s Christkindlesmarkt, one of the world’s largest and most famous Christmas Markets. Browse through over 100 red and white canvas-topped booths offering an assortment of unique treasures, toys and seasonal goodies. Return to the ship to overnight. Today we will say goodbye to Dr. S. Michael Wilcox. This morning we disembark the cruise ship and drive approx. 2 hours to Rothenberg ob der Tauber, which is Germany’s best-preserved ancient walled city dating from the 12th century. We will explore this city including their Christmas Market. Then we will drive 3.5 hours to Strasburg France where we will overnight. late morning you will take a tour of Strasbourg and its old town. Strasbourg: After our arrival into Strasbourg we will begin touring. Strasbourg is possibly one of the most picturesque cities in France. The old section is a World Heritage Site. We will also visit their Christmas Market. Strasbourg is considered to be the home of the first ever Christmas Markets held in the 1400s. They have continually held Christmas markets since 1570. Late afternoon and evening will be spent at the highly acclaimed Strasbourg Christmas Market.